Two years ago I promised my daughter Mollie that we would redo her bedroom, and I am finally getting around to it. Her room was a mish mosh of furniture, not one piece went together. 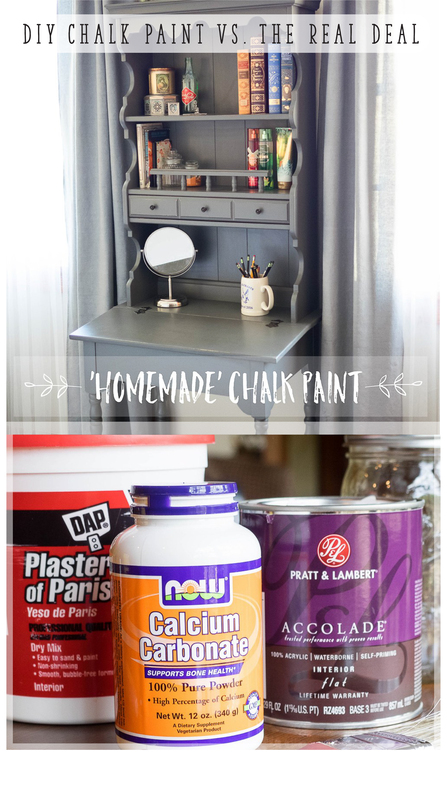 After ‘pinning’ countless chalk paint ideas I finally decided to attempt making my own chalk paint! 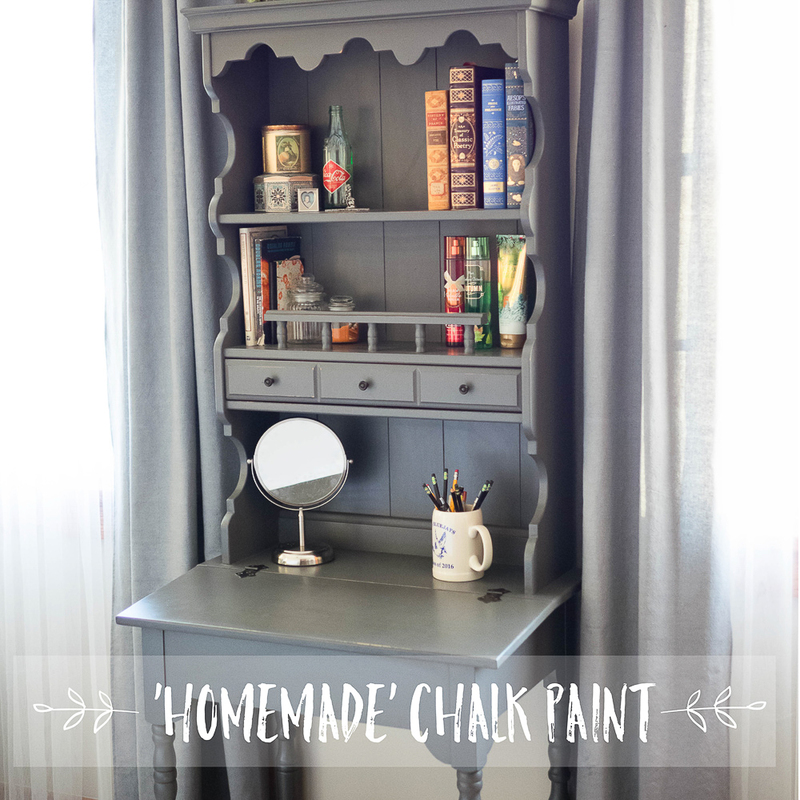 For those of you unfamiliar with chalk paint, it involves very little prep work, yet is durable & looks beautiful. There are great premixed options but they can be pricey, plus you are limited in your color choice. The verdict? It worked amazing!!! 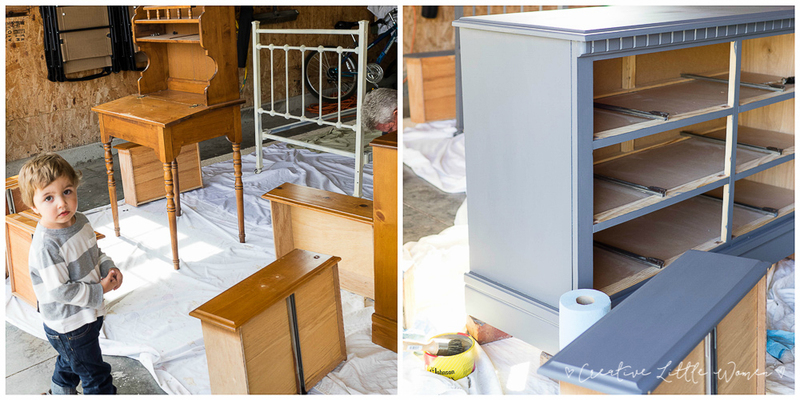 Chalk paint turned a collection of random pieces of furniture into a cohesive, pretty room that Mollie loves! I just wish I had done it for her sooner! It also cost very little. It’s been a few months since I finished the project & so far the pieces are holding up beautifully. Hopefully that will continue to be the case. *Plaster of paris can be omitted. When trying recipes I did both with & without. Each worked. However, plaster of paris will add extra ‘hardness’ & the dresser in this project had a thick shellac topcoat. I feared it would not grab the paint well so I added the plaster of paris. 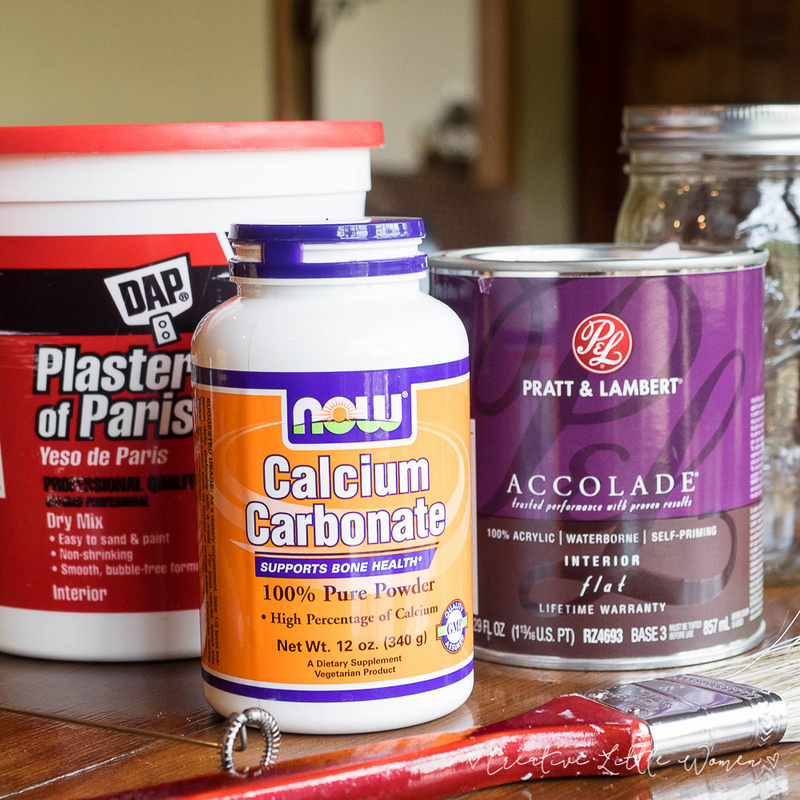 Simple directions: Mix the Calcium, Plaster of Paris (if using) & water until fully blended (no lumps). Add to the latex paint, stirring it well. I did not sand the pieces of furniture unless there was a random flaw that I didn’t want showing through the paint. I did clean the pieces well to remove dirt & grime. After two coats of paint (3 in some areas), I gently distressed the pieces with fine sandpaper & then sealed them with Johnson’s Paste Wax . For some depth of color I mixed a little bit of Annie Sloan’s dark wax in with the Johnson’s wax. This is totally optional depending on the color / look you are going for. After a few hours I buffed the waxed furniture with a soft cloth. My FAVORITE step is this last one, it adds such a finished & smooth look to the furniture! Rub the pieces down with extra fine steel wool! This adds such a beautiful sheen to the finished piece. I love it! Now, if you are using a lighter color paint you will want to use extremely fine sand paper (500+ automotive sandpaper) instead of steel wool. This will give you the same result as the steel wool without adding any color (steel wool leaves a slightly dark tint behind). If you have any questions I’d be happy to try & answer them!